There are any numbers of measurements which one can point to depicting threats to the continued acceptance of the presence of Jews. The increased levels of anti-Semitism and the accompanying violence perpetrated on Jewish members of numerous European nations is just the beginning. France has witnessed so much violence targeting Jews that they have called up reservists activating their military units and placed them at virtually every Jewish institution where Jews may congregate. This has meant that French soldiers are guarding every Synagogue, every Jewish school, almost every Jewish pre-school, a plethora of Jewish daycares and even some Jewish markets, especially in Friday afternoon as the Shabbat shopping rush takes place. Even with all of this has not completely prevented anti-Semitic attacks in France as the recent murder of an 85-year-old Holocaust survivor in Paris, Mireille Knoll. This harmless lady was stabbed eleven times and violated in other ways before her apartment was set on fire. The bottom of the article lists a number of other similar anti-Semitic driven murders committed in the French recent past. The list is honestly frightening, and we are only in France. Moving to the east we enter Germany on which we just reported on the assault of a Jewish youth on the streets of Berlin resulting in the youth being more seriously wounded than initially thought. This attack was simply representative of one side of a triple-sided closure of German Jews, two of them described in this USA Today article which defines threats from the Islamic refugee influx and the nationalist right-wing neo-Nazi and related anti-Semitic groups. The third threat comes from some on the extreme left who have taken to blaming the Jews for the increasing violence against the Jews themselves. As pointed out deep in this article, there has also been a rise in anti-Semitism on the left as well as the right and amongst some of the Muslims with growth coming from all the aforementioned sides. Even in the schools anti-Semitic bullying has occurred targeting girls and boys alike. Sweden is not an ideal place filled with acceptance and love for their Jewish population which is facing increasing violence with Malmo becoming a city with what might only be called no-go areas for Jews. In Italy it is reported that from Malmo we go to Milan and the hate is the same anti-Semitism which has even infected soccer crowds. We are shown that being called a ‘Jew’ is one of the worst insults used by Italians which happens at soccer matches despite efforts by the authorities. Moving across the Channel to Britain we find that anti-Semitic hate crimes hit record high as violent assaults increase by more than a third in a year. These are simply an introduction as expressing Jewish themes or following actual religious obligations become crimes, these are the real signs that Europe will soon spit out its Jews if not worse. But the real stories lie at opposing ends of Europe. Poland has recently passed a new law making a crime out of references to any Polish participation in the Nazis genocidal murder of Jews during World War II, thus making such a thought crime and against national speech code. Even worse is when even performing Mitzvahs and fulfilling Biblical commandments become criminal acts. How can a Jew remain living in a nation and raise a family when performing even the most basic and central command from the Torah, one demanded of Avraham by Hashem and practiced by the Jews during the Exodus before entering the Holy Lands and the rite by which every male child shares the same covenant made by Avraham when committing to Hashem and his ways and laws. The Mitzvah of the covenant to which we refer is Circumcision, an act which will become illegal and punishable by a punishment of up to six years in prison. This is what a new law recently proposed by Silja Dögg Gunnarsdóttir from the Progressive Party, a center-right, populist party, along with eight other members of Parliament from across the political spectrum. Should this become law, then the message is that Jews, as well as Muslims, are not welcome in Iceland and that any residing in Iceland who has a male child will be required to choose between following the laws of the land or the laws of their people and Torah. 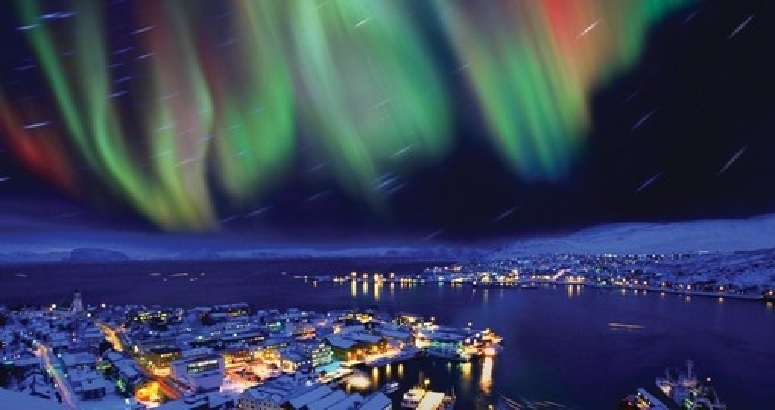 Any Jew who is honest will choose Torah and making the covenant for their child with Hashem and need to leave Iceland or become a fugitive from Justice. Such a law has been passed before in Europe back in Nazi Germany where having been circumcised was very likely a death sentence as it was considered proof positive that one was a Jewish male. Denmark, Germany, the Netherlands, Norway, Sweden and Switzerland are amongst the countries who have considered circumcision bans in the modern era. Thus far, none have actually been passed and stood challenges but it is very likely that Iceland will blast through that door and not simply unlock and open it. This will not be a polite passage of a ban as it has been made clear and indisputably shown that passing such a law banning circumcision would be a religious ban and insult to both Judaism and Islam and that believers of these faiths, one of the world’s largest and potentially the world’s oldest religions, would find residing in a nation with such a law on the books impossible. The problem is that once this door has been even cracked open, let alone blown off its hinges, will begin to allow the other nations who had previously considered banning circumcision will return to reconsider and this time having a precedent which they can point to as their license to follow suit in protecting infant male children from the imposition of barbarous actions of the religiously dogmatic parents. Europe has been moving towards considering religious people to be dogmatic and suffering mental difficulties and requiring social readjustment and potentially claiming such people as unfit parents. Adding circumcision to the intended acts of a religious person may soon come to be cause for placing a child under state care. This will be the threat which will send European Jews rushing for the exits taking their children where their safety will be better assured. Over the past decade, France has witnessed just over one grisly slaughtering of a Jew each year. * Mireille Knoll, an 85-year-old Holocaust survivor, was stabbed multiple times and then left in her burning Paris apartment to bleed and burn to death simultaneously. The first was Ilan Halimi who was befriended by a woman and when she asked him to meet her for a drink, little did he know he was to become a sacrificial lamb in nearly a month of torture. ** The other people residing in the apartment block had to have heard the blood curdling screams the young man released begging for help and eventually for death. After almost a month of pure hell, he was finally released as told in the article, “On February 13, at five o’clock in the morning, Ilan was first shaven, like six million other Jews, and flung into the forest by his torturers. He managed to take the mask off his eyes, and as Fofana later reported, look them straight in the eye. I am a human being, his eyes told them. He received a few knife stabs for that. Then, like many of the six million before him he was set on fire and burned alive, having been sprayed with a flammable substance. Then his tormentors left.” One of his tormentors, Fofana, upon sentence being passed stated proudly, even defiantly, “I killed a Jew, and for that I will go to Paradise.” There was no remorse or even the ability to identify with their victim as human because he was a Jew after all. These murders over the past ten years have taken everyone from children as young as three, six and ten shot in the Toulouse Jewish school shootings which also took the life of one of the school’s Rabbis and father to the youngest victims.# These were the murders just in France where the greatest numbers of European Jews reside. France’s Jewish population at last count was approximately four-hundred-fifty-thousand people. Next greatest reside in the United Kingdom with an approximate numbers of Jews of two-hundred-ninety-thousand and next is Germany with a Jewish population of approximately one-hundred-fifteen-thousand and the remainder of Europe having far less. The total European Jewish population is approximately one and one-half-million which is a mere fifteen-hundredths of one percent of Europe’s total population. That is next to nothing and yet the continent apparently finds even that few to be far too many. Anti-Semitism is on the rise across Europe with some places having become almost impossible for Jews to remain in their homes and even their synagogues have been firebombed. The worst of these attacks have come in Sweden with the town of Malmo amongst the most prevalent in violent acts of anti-Semitism. Malmo Mayor Ilmar Reepalu had advised Jews who want to be safe in Malmo to reject Zionism. 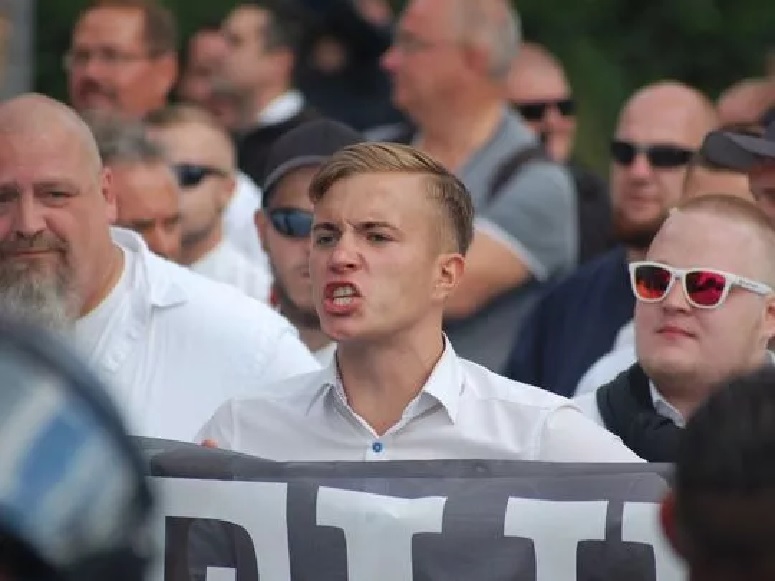 Though he has condemned anti-Semitism, Reepalu has called Zionism a form of ‘extremism’ comparable with anti-Semitism, said the Jewish community had been ‘infiltrated’ by anti-Muslim agents and denied that Muslims perpetrated the attacks on Malmo Jews. In an article written for the Huffingtonpost titled, “Rising Anti-Semitism in Europe: History Repeating Once Again,” goes into some depth about the rising levels of anti-Semitism across Europe. European anti-Semitism is a dire threat rising once more, but then again, European anti-Semitism and its counterpart across all of the Arab and almost all the Muslim world, particularly the MENA## States. The Jews, originally the Israelites, were conquered by Babylon when the Northern Kingdom fell in 722 BCE leading to the Ten Lost Tribes of Israel. The remainder, Judah, the southern kingdom, was subsequently conquered by Babylon in around 610 to 605 BCE. The Judeans were eventually to be known as simply the Jews. After Babylon, the Jews were conquered and subjugated by the Persians, Greeks and Romans. The Romans dispersed the Jews as they had the Carthaginians in an effort to destroy those two peoples as well as others who the Romans destroyed. The Jews survived their dispersion and continued to be subjugated by Europeans and after the conquest by Islam in 636 CE and the subjugation of the MENA states followed soon thereafter right up to the current day. Torah and traditions and practices in the Oral Law written in the Talmud, which is a living document of Judaism where every idea and practice is discussed and argued from all sides. Some arguments are posed simply to force clarification of a concept or action being discussed and does not necessarily, or in some cases even in the wildest interpretation, actually convey Jewish thought and are used for argument only. Often it is these arguments which are cherry-picked and made public with the intent of shaming Jews and disgracing Judaism. Such practices are known false representations but still crop up in use by the anti-Semites. The MENA States (which were also the Caliphates and then the Ottoman Empire through to World War I) along with Europe often treated their Jewish populations as victim populations upon who all ills were blamed often leading to pogroms, murderous rages, burning of their Jews and other atrocities often beyond imagination. Jews would be forced from one city or nation to another over and over never really finding their real home. The vast majority of Jews have been forced from their lives and homes across the MENA States so the remaining anti-Semitism is more often targeted at Israel. Europe still has a Jewish population but it is slipping away, or should we be honest and call it what it is, fleeing. There is a remaining problem, America. What makes this problem so easy to ignore is that American Jews appear oblivious to the problem. Even the New York Times has written about the lack of reaction by American Jews in their article titled “Anti-Semitism Is Rising. Why Aren’t American Jews Speaking Up? The reason is easy and even obvious to any neutral observer with even a modicum of intelligence. The answer is there are Jews who have noted the rising anti-Semitism, but their voices do not matter, as they currently are the minority. These are the Orthodox Jews who reside largely in close, long established communities in major metropolitan areas such as Cleveland, Boston, Chicago, Baltimore, Los Angeles, Greeley and, of course, New York. They are also largely conservative and vote predominantly Republican and while vocal within their community, they otherwise appear rather silent, well, that is when compared to their brethren who are far more political and rather less religious. The Conservative, Reform, Reconstructionist and non-conventional Jews are vocally political and some congregations have adopted the leftist political agenda as the structure around which they build their Judaism. They run numerous NGOs which support left leaning ideas such as gun control, open borders, free abortions, free tuition, urban renewal, nuke free world and the entire plethora of similar pie in the sky, pipe dream and utopian agenda. They are blind to any kind of problems, shortcomings or other complications which make the left just as possible to make mistakes and errors in judgement as the right wing which is constantly scurrilously attacked by the left and their media allies. These politically active Jews are far more boisterous and make themselves heard and often fill the argument drowning out all else. Because they are so enamored with the left and leftist causes, they also are blind to any deficiencies and even when they do see such problems, they will find some means of explaining them away. A glaring example was the known relationship between President Obama and the Reverend Jeremiah Wright and the mutual relationship they held with Minister Louis Farrakhan, a known and severe anti-Semite. The same is true of most of the anti-Semitism prevalent on the left with such people as Linda Sarsour, one of the organizers of the Women’s March who emphatically made a statement when they stated that the Women’s Movement has no room for Zionism. Even after this statement made in order to exclude feminists if they were pro-Israel because being a Jew who believes in the right of your people to have what is granted almost all other peoples, their own nation to call home, then you cannot be a feminist. Truth is, the left is slowly but inexorably moving towards a place where in order to truly be accepted, one must first declare their hatred for the State of Israel. Now for the saddest and most distressing item, many leftist Jews see no problem with this and blindly jump onboard with defaming and attempting to destroy the Jewish State. Israel is the Jews Second Amendment, the place where Jews will be protected from all threats no matter their origins. We can only ask such Jews a simple question. When the left finally reaches the unavoidable end of their slide into anti-Zionism, anti-Israelism and their anti-religion, especially Judaism, and decides that the world must once again exterminate its Jews, where will they run? * 11 Jews massacred in France, just as ISIS did in Syria by Giulio Meotti. ** The Shocking Murder of Ilan Halimi by Deborah Freund. Anti-Semitism is rife throughout Europe and spreading like a wildfire throughout urban and metropolitan America. Apparently multiculturalism does not include Orthodox Jews or any other Jew who stands with Israel, their faith, the Torah and the tenets of their faith. The new multiculturalism also rejects Catholic Orthodoxy, Christian Evangelicals, religious Christians and anyone who stands with the Bible. To be completely honest, they do not much like the United States Constitution either or anything originally written on parchment. Do not even mention stuff originally carved in stone, like the Ten Commandments. Our new multicultural society has a whole new set of rules and they are quite open-minded and accepting. Their one rejection is those who refuse to be as accepting as the mainstream multiculturalists. You have to understand, it is all about their rights and the rights of all those who choose to expand the societal structures and tear down the old walls which were too restrictive for the new multiculturalists. And we beg forgiveness ahead of time for any insult one might feel or find in what follows as we are not as sensitive as society now demands. We are now a very sensitive society and we feel for everybody and everybody has rights. The LBGTQ and who knows what other letters are to come have rights. The transgendered rights are very fluid as one can feel like anything at any point in the day and switch a few moments later, that is their right. The gays and lesbians have rights and must be permitted to have marriage as a social arrangement such as civil unions are insufficient, it must be marriage because the Biblical definition must be challenged and destroyed. The old constructs must be challenged and destroyed utterly and completely. Nothing of the old must be permitted to stand, and that includes anybody found holding on to those antiquated, obsolete and hateful standards on which Western civilization stood supreme for these past numerous centuries. Military service is out and the soldier must be reinvented and the military services are the new Petri dishes where societal changes are tested. Women in submarines, on the front lines and in every last place where only men dared tread before and if they cannot meet the requirement, then change the requirements until even the most tender woman will pass if she decides to join. The requirement for a Ranger to run eight miles twice every day of the week, are you sure it has to be eight miles, and twice a day, for real? Perhaps you meant yards for the ladies who want to have that Ranger patch upon their shoulders. As we stated, the standards of the old must be bent and broken to accept the new openness where everybody had rights, well, except the right to limit anyone else’s right to be and do whatever they please, that would be standardism, a forbidden ism. Ism’s are another problem for the multiculturalists. They abhor the vast majority of ism’s, and for many we agree. They oppose Fascism, a wise choice, and classism, racism, sexism and other exclusive ism’s as do we. They claim that these destructive isms’s are all the children of religious belief because religious belief is what led to all the wars of history, well, Judeo-Christian beliefs led to all the wars of history. They have replaced ism’s with their defined freedoms. Fascism was replaced with social justice, classism was replaced with social justice, racism was replaced with social justice, sexism was replaced with social justice, every ill has been cured by social justice. And exactly who gets to decide what is social justice, well; everybody provided their definition is all-inclusive and free of any rejection beyond rejecting those who wish to apply standards. Standards are evil and are replaced with rights to defy standards. This is a very happy-go-lucky new world where you can be whatever you want to be without any pain, suffering, accomplishment or even proficiency. We are waiting for the last of the standards to fall, those standards which require physicians to be licensed, lawyers to pass an exam, pilots to be certified and all those other restrictive qualifications so many of the choicest professions require for people to practice these trades. How so limiting these items are. We will wait patiently as the new multiculturalists get around to breaking down these barriers to the right to choose whatever profession you feel qualified to hold each morning when you wake, or afternoon if you choose to sleep in. One might even decide to change professions at lunchtime. Oh the world will be so much freer once those requirements to practice so many professions are removed and anybody can be whatever they choose. It is all about you, or actually the I, where I is individuals and individuals have rights, all rights, and no responsibilities. That makes the world so much more open and accepting. Open and accepting, those are the new bywords we are to live by. Don’t hate, simply accept. Follow that credo and you will be feeling on top of the world by noon today. With everyone free to be free and every I for individual gets to decide everything about their life and who or what they decide to be, what could be more liberating. So what if the new pilot of the Jumbo Jet you are flying on never flew even a paper airplane before this morning, he decided he wanted to pilot a Jumbo Jet and who are you to tell them they cannot be your pilot, remember, universal acceptance. You need surgery, well we know just the person, they decided over lunch today they wanted to be a surgeon and they will do your operation for free, just sign this release form, remember, universal acceptance. Doesn’t this make you all squishy inside with the new world without standards where anyone can be anything they want? It is just so liberating to be rid of those stuffy old standards. Rights without responsibilities are just so darn liberating. We should have special days celebrating our new liberated world. How about an international be whatever you wish day. Never mind, that is every day in this standards free environment. Oh, wait; we do need environmental standards because all pollution is evil. We will need a standard whereby polluters are punished for destroying the Earth and injuring Gaia. We have adopted some things which we do believe in such as our actual atheistic religion because having an omnipotent and all-seeing, all-knowing Supreme Being would be just so like before. We want everything to be new. We have decided on being atheists who believe in Secular Humanism, a new ism we accept. This is a completely new faith where we follow a philosophy or life stance that embraces human reason, ethics, social justice, and philosophical naturalism while specifically rejecting religious dogma, supernaturalism, pseudoscience, and superstition as the bases of morality and decision-making. * We celebrate the human being as the highest form of life, intelligence, knowledge and atop of all things. This is a whole new philosophy and is absolutely nothing like ancient Greece. Why would we bring up Greece, especially ancient Greece? Sure they allowed all forms of sexuality and the freedom to choose whatever one felt they should be and all those other rights but they had a slave class, people who were denied full rights. We would never do that except for those social-luddites who insist on imposing those old religious standards rejecting the freedom and rights which we believe. They want to hold society back from becoming totally free with their insistence that rights come with responsibilities and that what we do matters and they believe in a Supreme Being, how so year zero. They do not deserve to be full citizens in our new reality as they would be such a bummer and bring us down from our responsibility free lives where we can be whatever we decide whenever we decide. Especially those who want to drag those ancient Judeo-Christian ‘actions have consequences’ definition of life, unacceptable, completely unacceptable. This new secular humanism morality is based on the 1960 and 70’s “If it feels good, do it.” There were so many phrases back then. Things which still work today such as, “Life is what you make it.” Of course we look at that somewhat slanted making it more like “Life is what you want to define it to be.” This is still as the base concept, just liberated a little. The problem with the new social construct comes when you add in children. But the education system has figured out the way around having lessons restrict the children. So they are now giving them lessons in how to feel including feeling different. They educate children pre-puberty about being transgendered, gay, bisexual and all about sexual liberty in modern society. Burdening children with this almost immediately before they reach their teen years, like life itself does not mess with their minds during those years. Prepubescent children are unaware of their sexuality and teaching them about such things only serves to confuse them and lead them to believe they are transgendered or gay or lesbian or whatever unusual thoughts they may have as a result. Then their hormones and bodily changes kick in and there is no wonder so many children end up needing help, but even the help only serves to further confuse them as the modern approach is all about feelings and how no feeling need be suppressed. Schools need to teach children how to think and solve problems and not how to feel and be empathic to everyone around you and support their feelings. When your teachers teach that there is no such thing as evil or restrictive rules except that you must allow everyone to be who and what they choose to be. Then the teachers show preferences for the children with the most imaginative realities for themselves, often realities which cannot be continued into the real world. But soon these students with nothing in the way of logical problem solving will be the ones leading the Western World and deciding its fate. These morality free and open-minded students will have minds so open that nothing is beyond imagination and since they are taught that nothing is inherently wrong, it is no wonder that they simply accept everyone as is. What is amazing is how these children are able to operate in the real world, but then many of them have proven they are unable to cope. This is the reason for “safe paces” on our college and university campuses along with therapy rooms where they can be placed in a stress proof environment with calming music, puppies and kittens to cuddle, overstuffed pillows to sit or lie upon and counselors to reinforce the concept that you are strong and you are just great as you are, even if as you are is someone unable to cope with the simplest things in life. The thing is the students are given some very strict standards they are required to follow to the letter. Their liberal, leftist teachings are to never be challenged and they are not to be required to ever accept any alternative to what they have been taught to feel. If and when a speaker has been invited to speak at their college, university, community, club, organization or even at their place of employment, this is never to be tolerated. They must be petitioned against until the invitation is withdrawn and upon failure of such the event must be prevented by any and all means necessary and should such a speaker actually make it to their event, they must then be shouted down having their speech drowned out making their words unintelligible to those who came to listen to their talk. This has become standard procedure across many college and university and now in high school and even earlier such people are booed off the stage at the insistence of the teachers. The students are also taught strict obedience to those who are more, or most, knowledgeable. Never must a disparaging word be uttered in their presence. 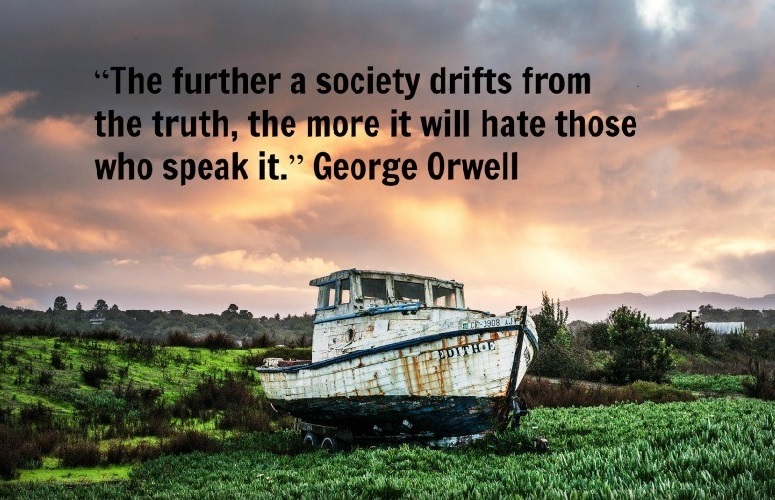 Many colleges and universities also have added a free speech zone where any conservative or standards centric student can rant and rave about their old and now discarded as barbaric concepts to their heart’s content as no matter how loud they scream these small places are well out of the range of any to hear their protestations. 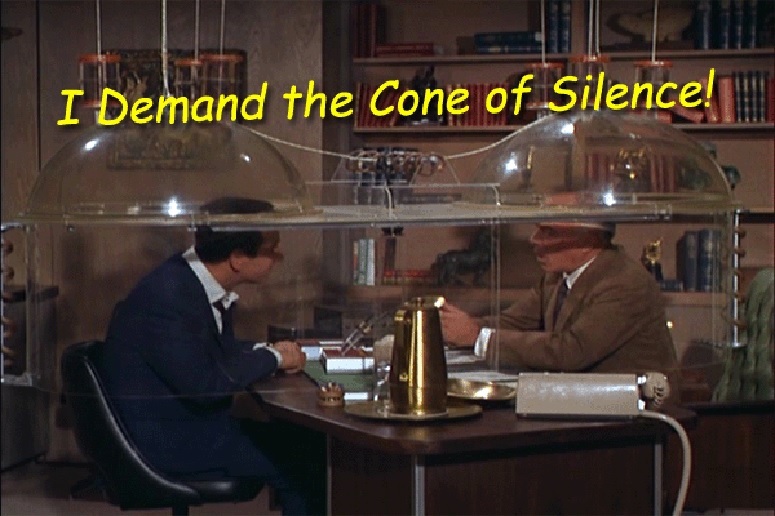 They may as well invoke the Cone of Silence from the Television show Get Smart. Perhaps the way forward is to actually allow everybody to choose his or her own morality. The problem is these new libertarians, self-professed as they may be, have also decided that there will be standards after all. Unsurprisingly, their standards are simply defined; it’s their way or the highway. They will not tolerate even the lightest deviance from their defined perfect world. Every form of deviance must be permitted and accepted and any attempts to live by the old standards are to be shunned and forced out of the view of the society. Judeo-Christianity may be practiced freely within your own home with the shades drawn or in your house of worship, but such is banned from the public sphere. Nobody is to be judgmental unless it is to judge any conservative stalwart as mental. Conservatism needs to be eradicated from all life, particularly political life. This has been the new standard for the Democrat Party which is why on virtually every piece of legislation proposed, they have voted in complete uniformity as if their leaders have cast their votes for them. Even if a bill would benefit their home constituency, if the Democrat hierarchy decides the bill is conservative and supportive of the old world or damaging to their craven new world order, then it must be uniformly and unanimously rejected. The same goes for the appointment of conservative jurists or even strict constructionist jurists to any national judgeship. The Democrats will reject a judge even if their decisions have been exacting to the law as they want judges whose minds are more liberated from stuffy old laws and who can find new rights and new liberties in the existing laws expanding their plurality strewn society into sectors before unimagined. Abortion on demand was one such right which was discovered in the Constitution under the Roe v. Wade which was a decision handed down by the Supreme Court under Chief Justice Warren E. Burger, considered one of the most liberal leftist courts in modern history. The consenting seven justices were Harry Blackmun, Warren Burger, William Douglas, William Brennan, Potter Stewart, Thurgood Marshall, and Lewis Powell while the dissenting two justices were Justice William Rehnquist and Justice Byron White. Six of the seven voting in favor were appointed by Republican Presidents, something to note for posterity. This was the landmark case which led to a number of additional cases where rights were discovered hidden within the laws of the land. This was also the case which opened the Supreme Court to the new social outlook for maximizing rights while removing responsibilities. This decision took away the consequences to having unprotected sexual encounters or not planning or choosing wisely in one’s sexual habits thus removing the responsibility for such restrictions on how one lived and replaced this restraining responsibility with the consequence free means for removing the consequence of sexual encounters, namely procreation. The right to abortion has had a devastating affect on the public, particularly in Europe and Russia where the population is decreasing as abortions combined with abortifacients and birth control measures to women having two or less children with many choosing against marriage, or at least permanent marriage, and having no children to restrict their choices in life. Life is now more free but as a consequence the society which has broken into this state after a long and successful run as the top of the chain, most wealthy, technologically advanced and leading the world only to now have a swindling population even in the United States of the very peoples who had accomplished much of these fetes. Western society has reached a magic plateau which in a few more years, if things which us old school fools believe are broken are not repaired and solutions found to make our society worth preserving through required sacrifice, then the new, sacrifice free, standards open, universally accepting and judging all cultures equal will wither and soon die on the vine producing nothing and affecting nothing replaced by whatever proves to be the strongest of those remaining. Currently those appear to be Islam, Chinese Communism with a touch of Capitalism or some other unforeseen group which could prove to be the Hispanic society which will inherit the productive might of the United States. The death of Western Culture has been the conscious choice to place personal pleasure over any societal future. No standards and no limits appear to have produced its limit, the lack of progeny to carry their wonderful new lifestyle forward. The only group reproducing near, at or above replacement rate has been those who have that old time religion, imagine that.